We now switchover to another aspect of online marketing, through the email channel. In this series, we will talk about several Do’s and Dont’s when dealing with Email Marketing to customers. So lets get started. E-mail can be used by your business to market to customers, alert them to new product offerings, and offer loyalty discounts or promotions. At the same time, your customers can use e-mail to troubleshoot any problems they have with your products or services, provide you feedback, and ask questions. 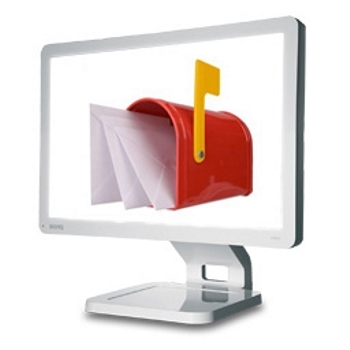 Due to its multitude of uses, e-mail marketing is part art and part science. It takes a combination of know-how and creativity to get customers and clients just to open your e-mail. We’ve talked to experts and nailed down some of the technical knowledge of what methods produce positive click-thru rates and even purchases. And, want to know what not to do? We’ve got that, too. Do: Keep it short and simple. Don’t: Waste too much time crafting the e-mail. The message needs to be clear and consistent from the subject line to the e-mail headline and skimmable body copy.If you put too much information or try to offer the reader multiple sales or promotions, you could overwhelm them and lose them. Don’t cram too many messages into a single e-mail or send large attachments that may clog subscribers’ inboxes. Readers are brutal with deleting e-mail. They are looking for reasons to delete and you have seconds to stop that from happening. Part 2 to follow soon. Stay tuned at GingerDomain to learn more about the power of the web to change the course of business success.